Cozy cabin with access to Bath shoot. 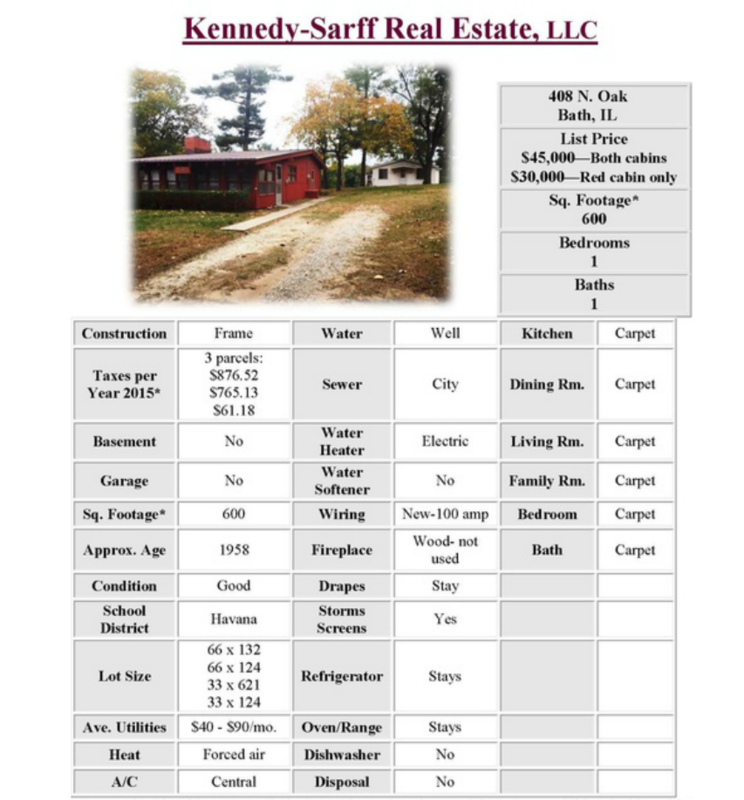 Sits on three lots total, includes an additional cabin that could be a tear down or a fixer-upper sold as is. The red cabin that is being sold is 600 ft., has a large bedroom that could easily be turned into two, kitchen, dining room, living room & family room. Forced air heat and central air, all appliances & most furniture stays. The central air was new in 2013; well pump new in 2012. This cute cabin is move-in ready & has beautiful views for you to enjoy!